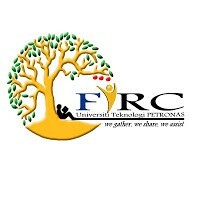 Universiti Teknologi PETRONAS (UTP) Information Resource Centre nicknamed IRC was established in July 1997 as a support centre for academic activities of the university. Housing approximately 208,487 volumes of items. The collection comprises of a wide variety of printed and non-printed materials ranging from books, periodicals, in-house reports and audiovisuals. The collection also includes an expanding range of electronic resources such as interactive CD-ROMs, e-books, e-journal and online databases. With intent focus on the field of engineering and technology, IRC aims to provide adequate and up-to-date knowledge and resources to cater for the increasing demands of the clientele, which has different levels of information needs either for their research, self-teaching or multi-learning environment. Friends of IRC was proposed by UTP management to assist Information Resource Centre in the importance of IRC as an information hub for study and research facilities as well as to inculcate the leadership and long life learning capabilities among UTP students through selected IRC activities and planned Corporate Social Responsibility (CSR) programmes.